whi music is dedicated to promoting the power and beauty of improvised and experimental music. Based in Liverpool, UK, it's largely based around my activities and collaborations. the catalogue now includes thirteen items, the most recent being 'Human' by Maggie Nicols & Phil Hargreaves (see below). 'where we were' by Caroline Kraabel & phil hargreaves is currently available on Leo Records. for more information on this release, see the dedicated website. I've got a blog to which i add my pearls of wisdom to from time to time. 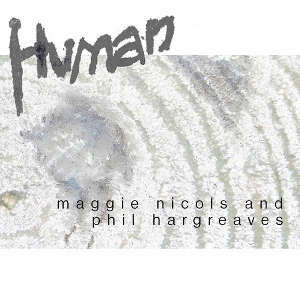 'Human by Maggie Nicols & Phil Hargreaves is now out. It's hard to overstate how happy we are with this CD - it took two years to make, and it doesn't sound like one that you already own. It's a tapestry of so many things, ranging from dense audio collages to intimate improvised duos recorded in Dark Places. You can listen to the first ten minutes below. This is a proper silver disk (ie not a CDr) in a very handsome six-panel cardboard sleeve, and available for the bargain price of £7 including p&p. Well, i think it's a bargain, anyway. which would best contextualise this language, with the opportunities it presents; this excellent CD is the result. Whilst this music is probably free jazz for the majority of the time, it remains non-hierarchical throughout - which is a particular pleasure. Secondly, Phil (who recorded this music) has excellently captured the acoustic sound of my bass. The BF catalogue contains numerous CDs where for whatever reason I regret the recorded bass sound (I'm sure the bass players among you will understand...) - but this is most definitely not one of them!" You can find more about this CD, along with the opportunity to purchase said disc at the Bruce's Fingers website, or here for the Bandcamp site. 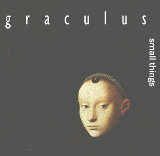 The second CD by Graculus, 'Small Things', is an album of miniatures, each improvised, each under 2:30 long (some a lot under). As well as being available as a download via Bandcamp, there's a silver disk in a hand-made package, which is yours for £6, including postage. This is a vid of Graculus at the very wonderful If Only night at the Bluecoat Arts Centre in Dec 2011. For more like this, see the YouTube Channel. If you live in the North West of the UK, why not subscribe to the New Music North West egroup, where you'll find out just what's hot locally without lifting a finger? 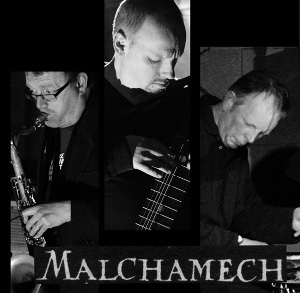 This mailing list has been operating for a while now, and it's a genuinely useful resource if you're at all interested in improvised/experimental music.